Here in Georgia, we are quickly approaching Spring and I am so ready for the warm weather. It’s time to hang up our coats (or cardigans) and open up our windows. Yes, I know it’s just March but a girl can dream right! 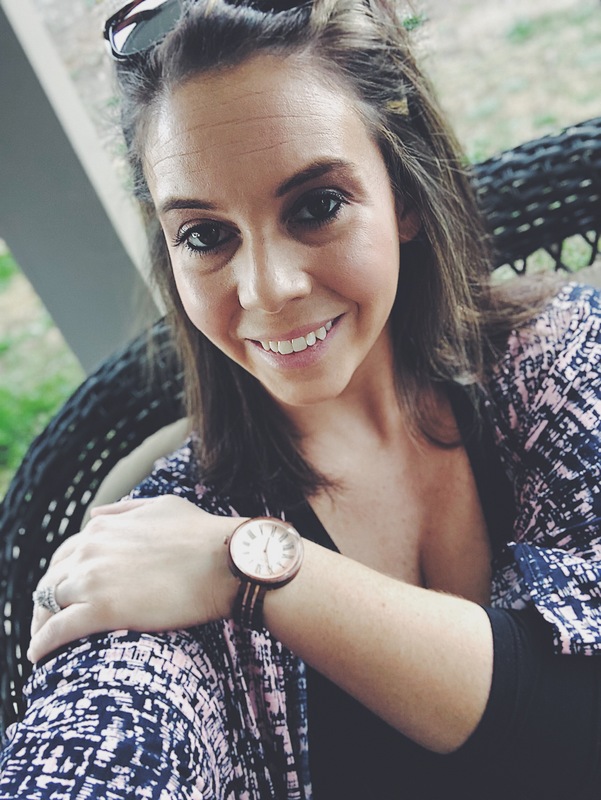 For this transition, I wanted to share my favorite spring essentials including my new unique, stylish, and eye-catching timepiece that is a must have for Spring. 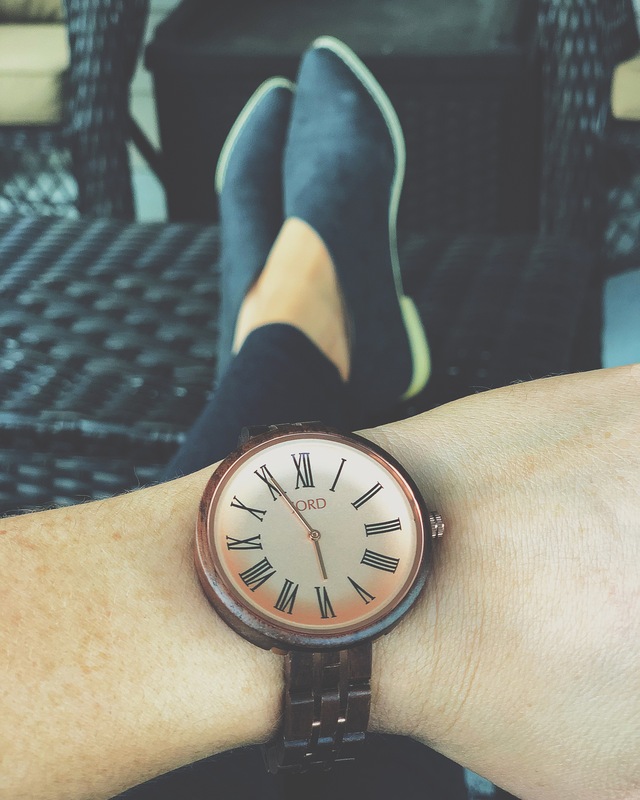 This wooden watch from JORD is absolutely beautiful and essential in my Spring wardrobe. I chose the Cassia – Walnut and Vintage Rose watch and engraved the inside with my last name “Tarver”. Find out how to style it perfectly with the warmer weather coming our way. In years past, I’ve never been a huge watch person. I’ve never found the perfect piece that went with virtually everything and was comfortable to wear everyday and for that special occasion. However, over the past year, I have been wearing an Apple Watch every day and I have become fairly dependent on having that time available at a glance. So, when I found this unique wooden watch from Jord, I immediately fell in love. This watch has a rose gold face and was sized to fit my wrist perfectly. It does not wiggle or slide up and down my arm. I was even able to have the watch monogrammed. 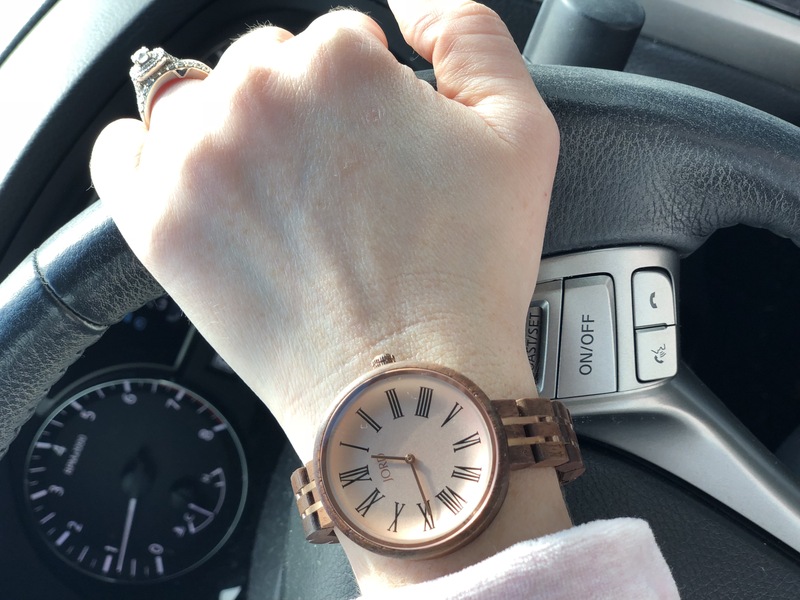 I wanted to share this watch with you because unique women’s wooden watches are very hard to come by. I also wanted to share this specific company with you because they have been amazing to work with – unlike some of the others we have worked with from Etsy. My husband ordered wooden watches from Etsy for his grooms men when we got married in 2016. The Etsy shop said that the items were made in the U.S and would arrive quickly. Weeks later, the watches arrived in not so great quality and were shipped from China. 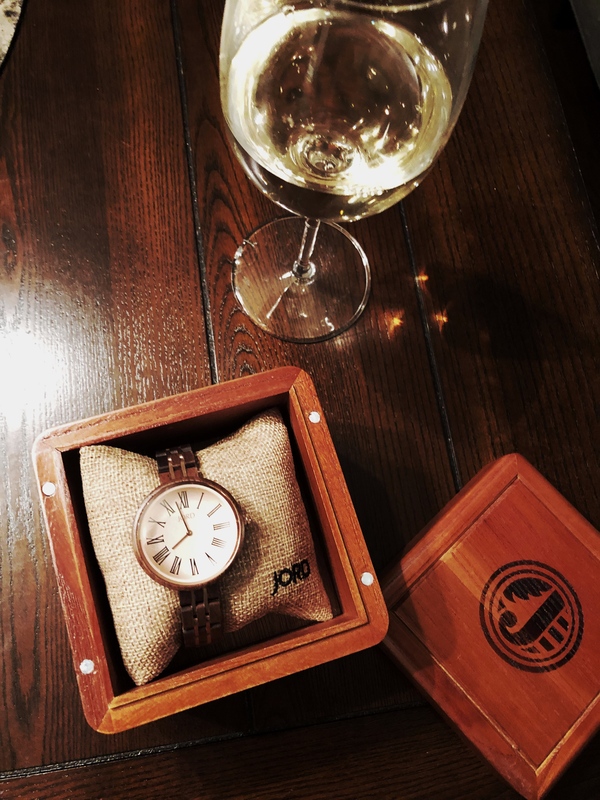 So when I found out that JORD also has amazing wooden watches for men, I was ecstactic and will absolutely be ordering one for my Husband this year. Because I love all of you, I have teamed up with JORD to host a Giveaway for my readers. One lucky winner will receive $100 off of your perfect watch and all entries will receive a 10% discount! This is a perfect gift for your wife, mom, and will definitely add it to this years Christmas Gift Guide for mothers! Last years gift guide found here. Specifically, I ordered the Rose Gold watch because it goes perfectly with my Spring wardrobe. Pink is a huge trend right now and I have fallen in love. LOL. I have styled this watch with cardigans, dress pants, work attire, date night outfits. It’s also perfect paired with your leggings and tee that are perfect for your daily errands. 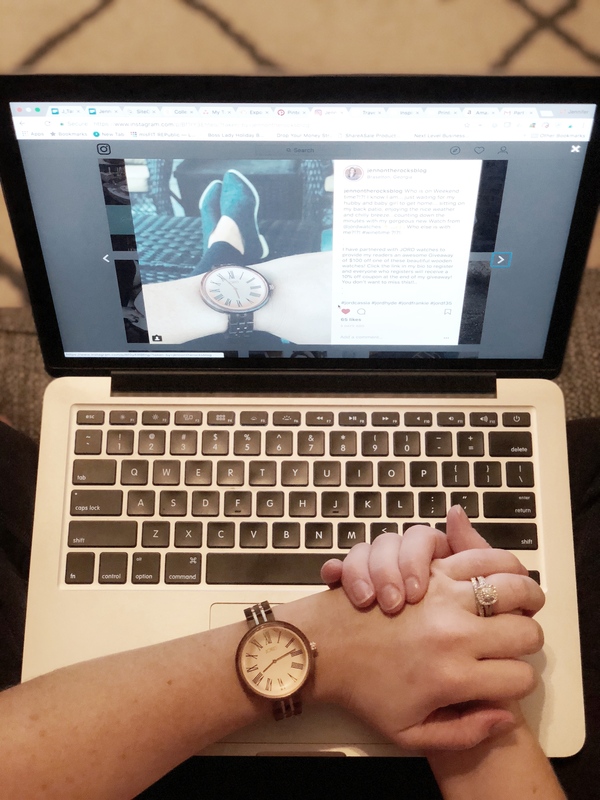 I hope this was helpful and I am so glad to offer my readers such an amazing quality wooden watch that’s affordable for both men & women. I didn’t even notice the women’s rose gold on when I was shopping the site so this is music to my ears! I can match my engagement ring! Loved your post! Aww Yay! I am so glad you found it! I LOVE the Rose Gold – it’s so feminine and classy! These are beautiful. I will look into getting one as a gift.